Join the funnest sport there is. Find out how to get involved by visiting www.swimtoday.org. Would you like to receive information on USA Swimming events, programs and breaking news? Please check this box to receive USA Swimming's monthly newsletter. We will not share your information with third parties. Here you'll find all the tools and resources you need to get started, regardless of your level. Enroll your child in swimming lessons and help them stay safe in the water. Learn More Swimming is a skill that can save your child's life. Every child should learn to swim with a professional instructor, which will reduce the risk of drowning and open the door to a world of water and fitness activities. USA Swimming recommends that kids learn to swim as soon as they are potty-trained, and always with a professional instructor. While all children learn at different rates, it will typically take a minimum of 8 lessons for a child to learn to swim. 1. Teach children to swim. It's the best way to be safer in the water. 2. Make sure a responsible adult is watching the water at all times. 5. Remember, you don't have to be at a pool to drown. Lakes, rivers, large puddles and any other bodies of water also require caution. 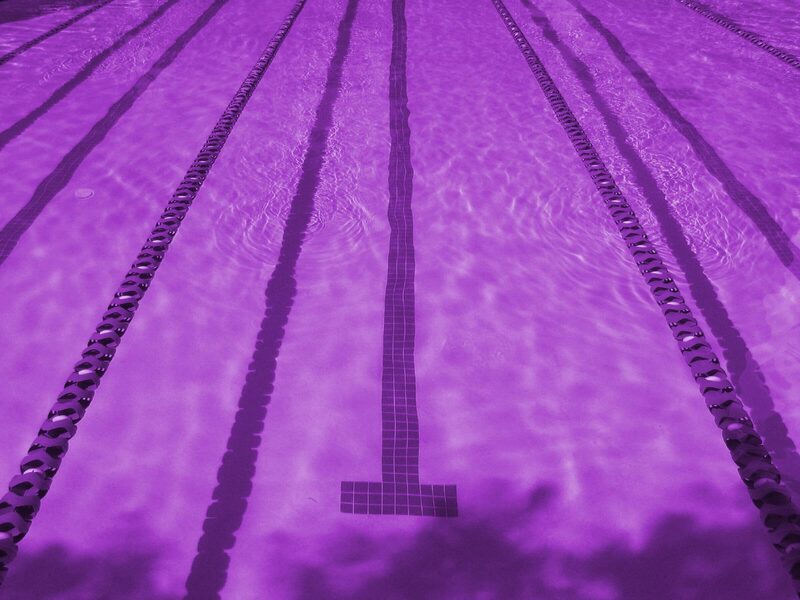 Find a place to learn to swim today. Join a USA Swim Club to experience the fun and excitment of racing. Learn More Competitive swim clubs are a great place for friends, fitness and fun. If your 5-12 year-old can swim at least 24 yards using freestyle (breathing to the side) and backstroke, he or she is ready to enter the fun and exciting world of club swimming. Children 13 and older should be able to swim at least 50 yards of each stroke. Swimming is an outstanding activity for people of all ages. It promotes fitness and endurance, goal-setting and time management. Also, as both an individual and a team sport, swimming offers kids the chance to learn to function as a member of a team, make friends and most importantly, have fun. Swimming teaches the life lessons of sport and sportsmanship which include learning to be a good winner and a good loser, taking direction from coaches, practicing discipline and commitment. Another thing you may not know about swimming is that it is relatively injury free in comparison to other youth sports. Swimming is low impact, a great outlet for kids with energy to burn, and a fantastic full-body workout. - Did he/she improve, becoming both stronger and safer in the water? - Did he/she learn to exhibit initiative, wanting to come to the pool to practice? - Did he/she learn something about teamwork? - Did he/she child benefit from the competitive experience, learning how to be a good winner and gracious loser? - Did he/she learn dedication, self-improvement and work ethic? In a few years, the medals and ribbons will be laid aside and best times will be a hazy memory. The friendships that will develop and the life skills learned will carry on for a lifetime. If you want your child to experience all the benefits of competitive swimming, just click on the "Contact" tab and get started with our swim club today! Learn More Swimming can help you get fit and improve your fitness whether you are 18 or 81. USA Swimming and Speedo offer resources to help get you started. USA Swimming offers both in-water and dryland training videos that can help you get on the road to fitness. Visit www.usaswimming.org/tipsandtraining. Welcome swimmers and parents. Our team is part of a community of 300,000 of dedicated beginners, competitors and olympic swimmers who share a passion for our sport. You'll swim together, track times and rankings, share tips and training advice, and most importantly have fun. Always swim with a buddy. Or 300,000 of them. • Download the "Swimmers' Creed" and post it on your wall/locker/door. • Join the team of 300,000 on Facebook and be a part of it all. • Put yourself in the America's Swim Team video! Deck Pass is USA Swimming's online platform that tracks swimmers' times and rewards them with digital incentives. Swimmers can track their best times, set goals and earn digital patches for their achievements. Deck Pass also gives swimmers the opportunity to share their achievements with other Deck Pass users and their friends on Facebook.